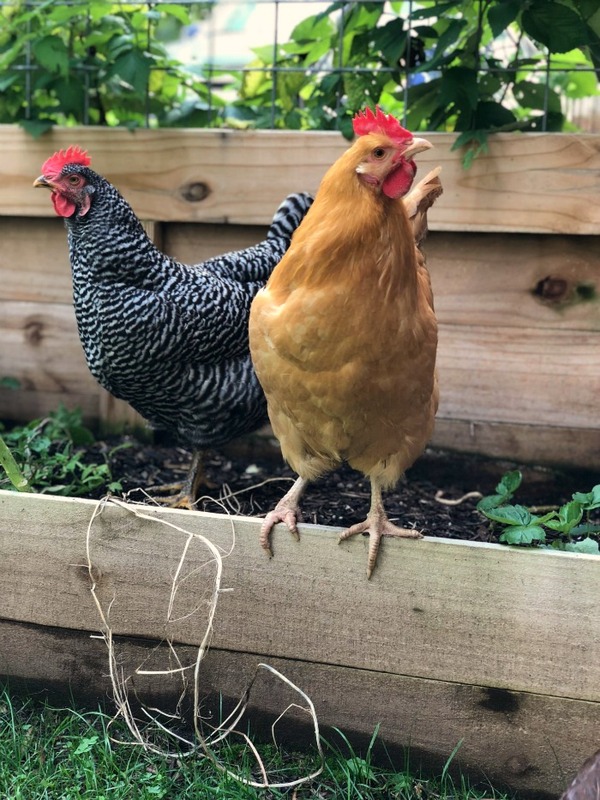 Craft Thyme is excited to announce that our fresh eggs are for sale (for local pickup) straight from our small urban homestead! If you live in the Asheville, North Carolina area and are looking for tasty eggs from happy chickens you have come to the right place. Our eggs are never washed, never refrigerated, and lovingly laid by our happy hens. You get a fresh egg, truly free ranged on our local property. How do you buy our fresh, ungraded eggs? Message us on Facebook or email us at brianna@craftthyme.com. 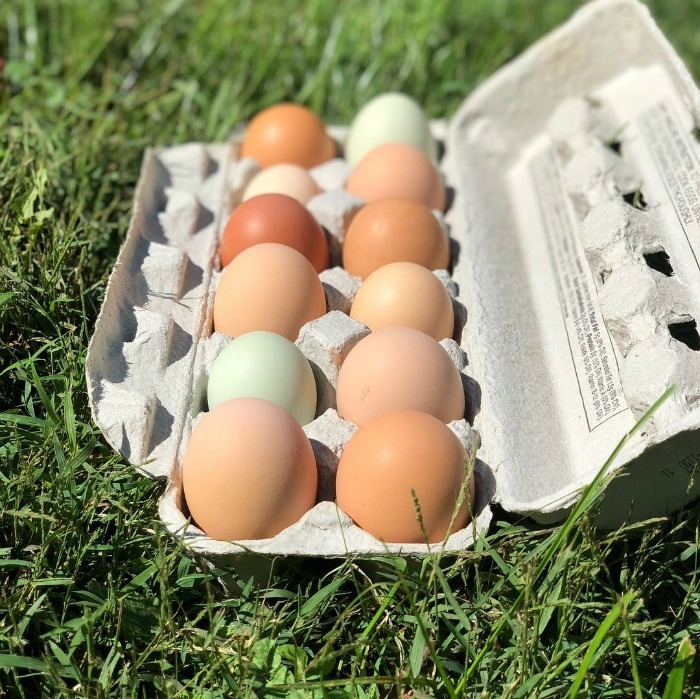 We plan to sell at local markets this summer but until then we provide a pickup location in West Asheville, NC for our colorful, local eggs. Current cost $5 a dozen. Will sell in larger and smaller quantities. Why aren’t the eggs washed? 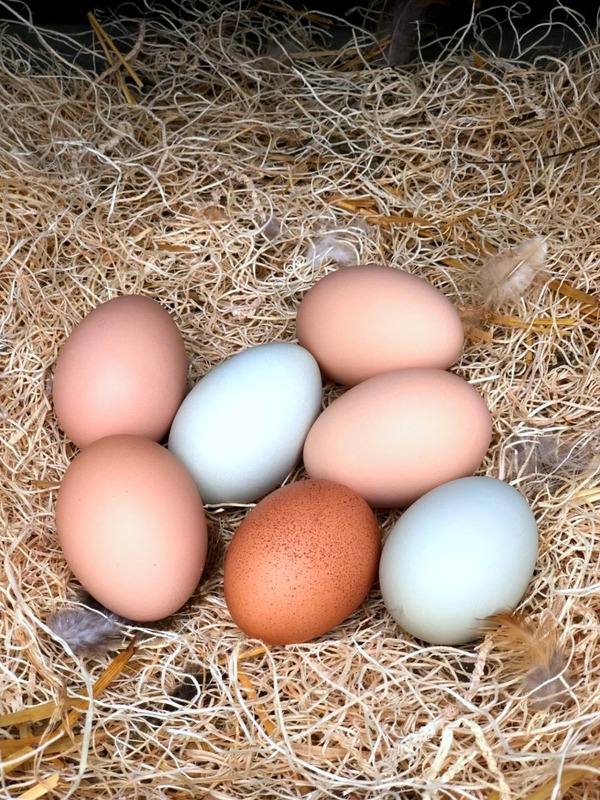 When chickens lay eggs they create a protective coating called a bloom around the egg. This bloom keeps the bacteria out of the egg making for the freshest experience! We keep a clean coop and nesting boxes but occasionally you may see some mud spots on the eggs. Shouldn’t those eggs be refrigerated? No! One of the best things about fresh eggs is you do not have to refrigerate them (up to 45 days) but you can refrigerate them if you want (up to 3 months). What do your chickens eat and why should I care? Everything! Our chickens get lots of time on our pesticide free lawn, they roam our wooded areas, and the dig in any garden bed I happen to not be watching. What they are doing that entire time? Eating whatever they fancy! Dandelions, worms, bugs, wild cherries, lettuce, you name it, they eat it. We also provide fresh feed, on demand, anytime the girls want. This means the chickens get plenty of exercise while their eggs taste of the seasons and have bright flavorful yolks. So why are your hens so happy? Our hens get the pampered life, from living in a Taj Ma-coop when they can’t free range to lots of pets, scratches and neck rubs. We make sure they get lots of dust baths, a clean secure coop to live in, and a basically stress free chicken life. If these eggs are so great why are you selling them? Right now we get anywhere from 8-12 eggs a day. Domestic hens lay almost every day during the warmer months. Regardless, of what we do they will still produce eggs unless they were sick or starving (not happening in this house). That means that even as a family of 6 we can only eat so many delicious eggs each week. 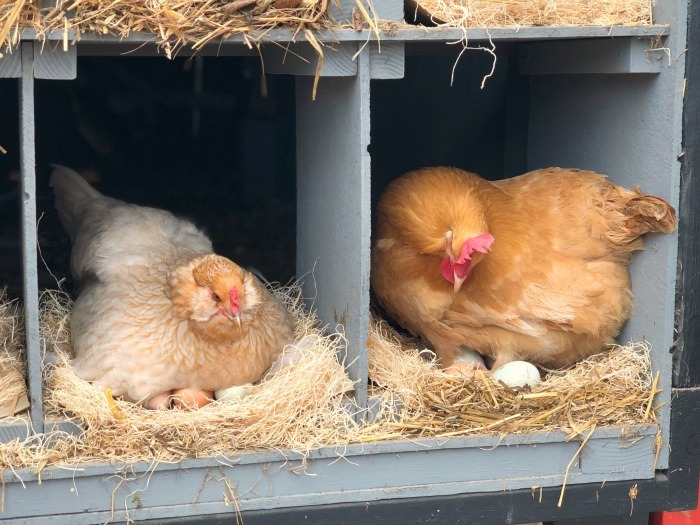 The money made from our eggs goes right back to the care of the ladies. Can I hatch these eggs? No, right now we do not have a rooster and our eggs are not fertilized. These means no chicks will hatch. If that changes we will make sure to update this section. Is it legal to sell eggs without a farm license? By North Carolina egg law we are allowed to sell 30 dozen ungraded eggs without a license. Let me repeat that, 30 dozen! That is a lot of eggs, and while our girls produce, we are no where close to that many eggs.